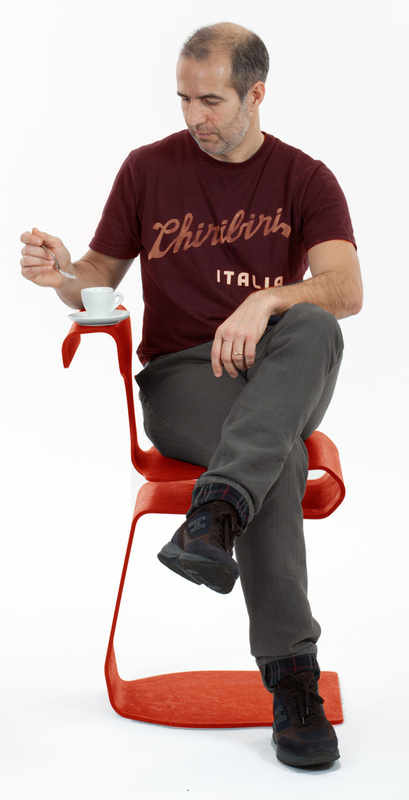 Giano is an ergonomic and multifunctional single chair suitable for interiors and exteriors that allows to sit in different positions, always guaranteeing excellent comfort to the person. 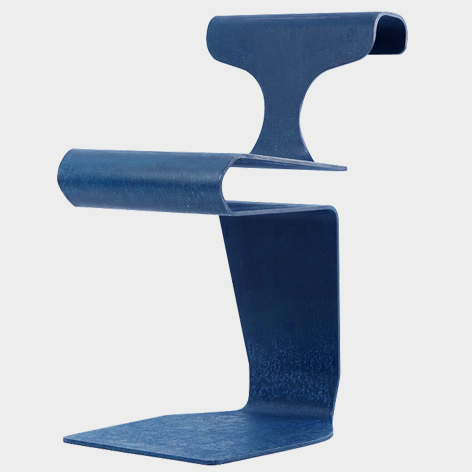 Giano correctly supports people's spine, allows to unload their body weight on their legs and to keep books, laptops, bags... under control thanks to the multiple shelves created in its curves. 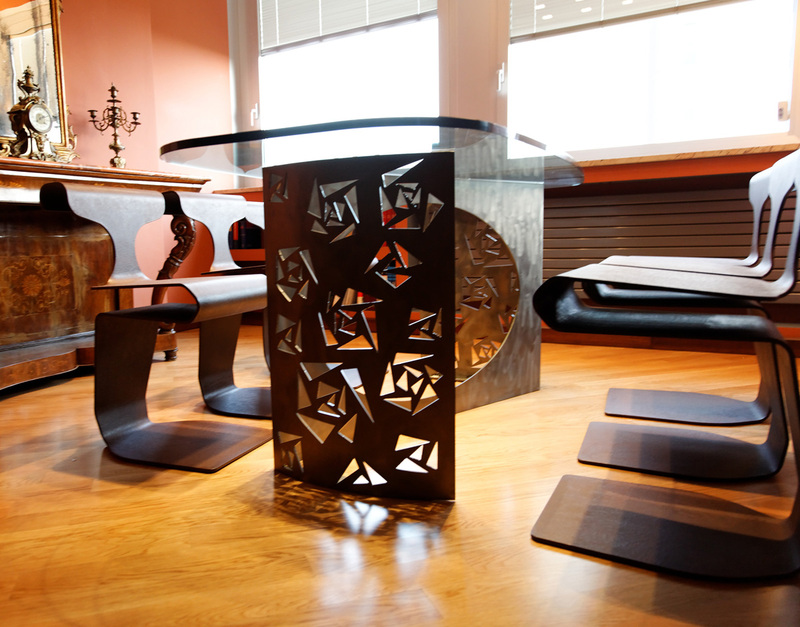 Giano is made of folded and laser-cut steel sheet 7mm thick. 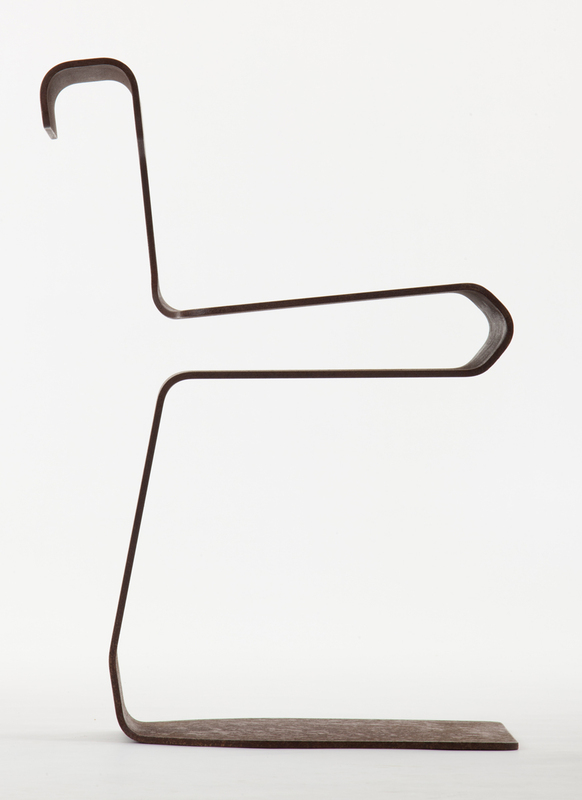 Dimensions (LxWxH) 40x55x75cm, weight 30kg. 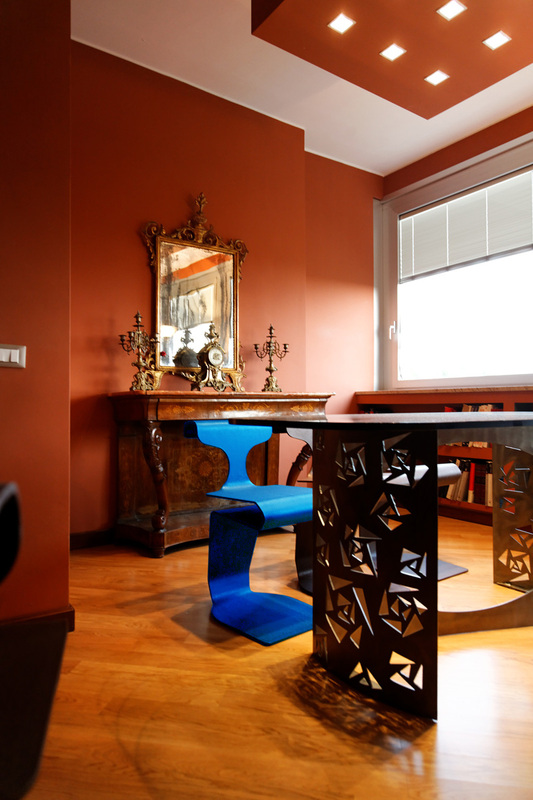 Giano is available in the following finishes: rough, corten, painted in RAL colors, painterly. 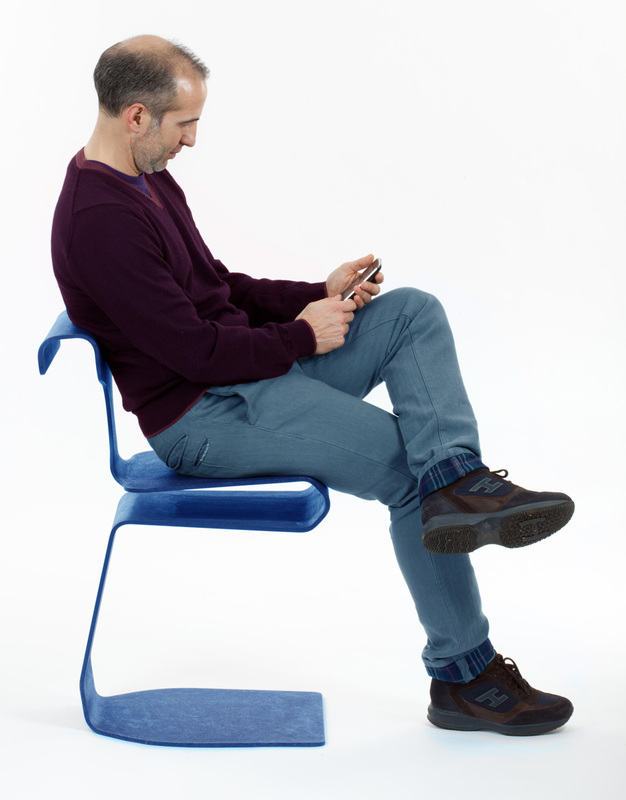 Giano is a 360° chair and a workstation for WiFi areas to keep everything under control. 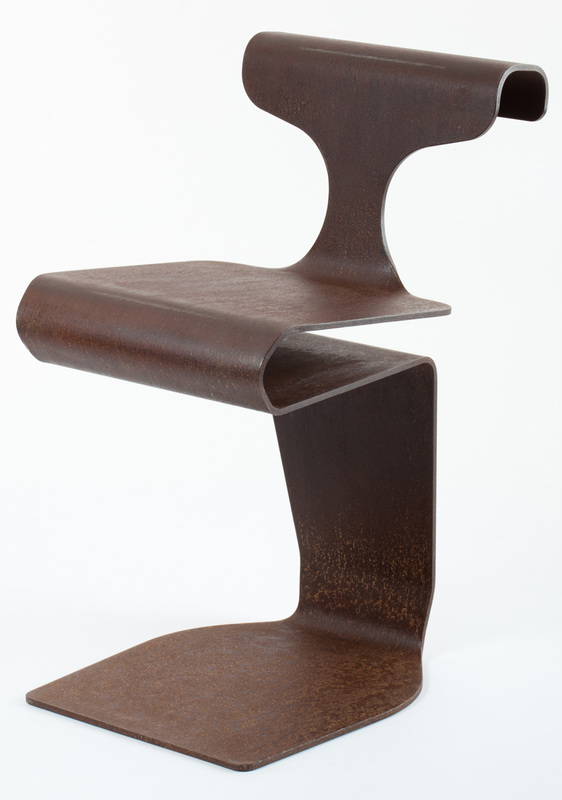 Despite being made of iron, Giano is a comfortable and very functional seat, designed to correctly support the spine in order to avoid the negative consequences of an incorrect posture. 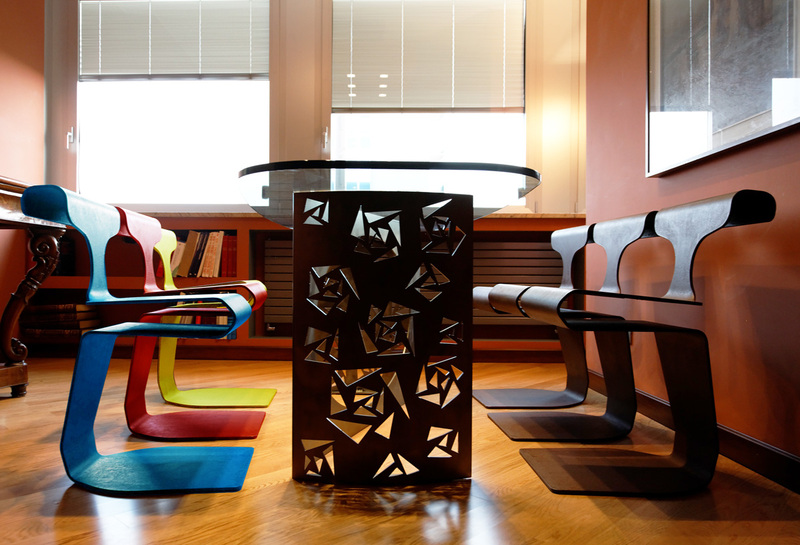 Its shape gives it flexibility that increases the comfort. 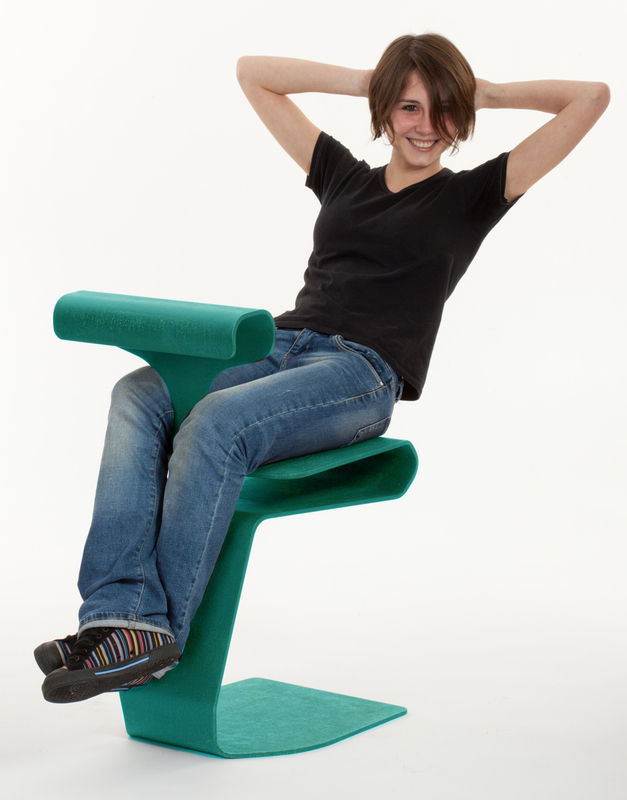 The multi-directionality of Giano offers further advantages: you can sit at 360° always finding a support to unload the body weight onto the legs. 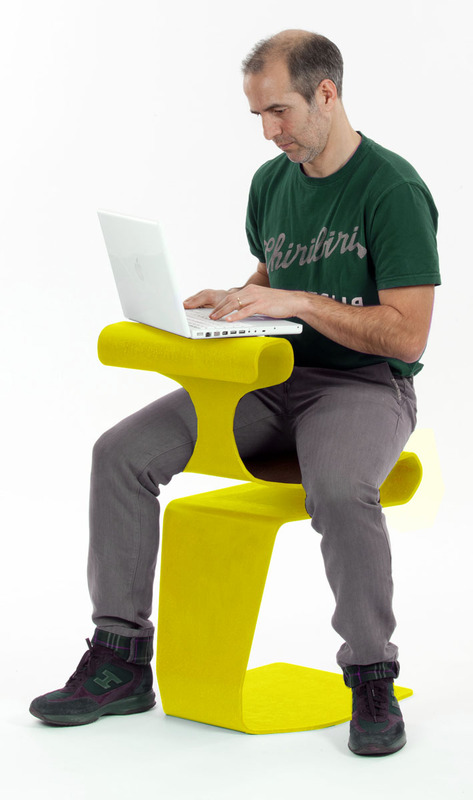 The backrest can become a comfortable armrest or a shelf on which to place a laptop. Giano has been drawn in profile with the intention of never removing the pencil from the sheet. 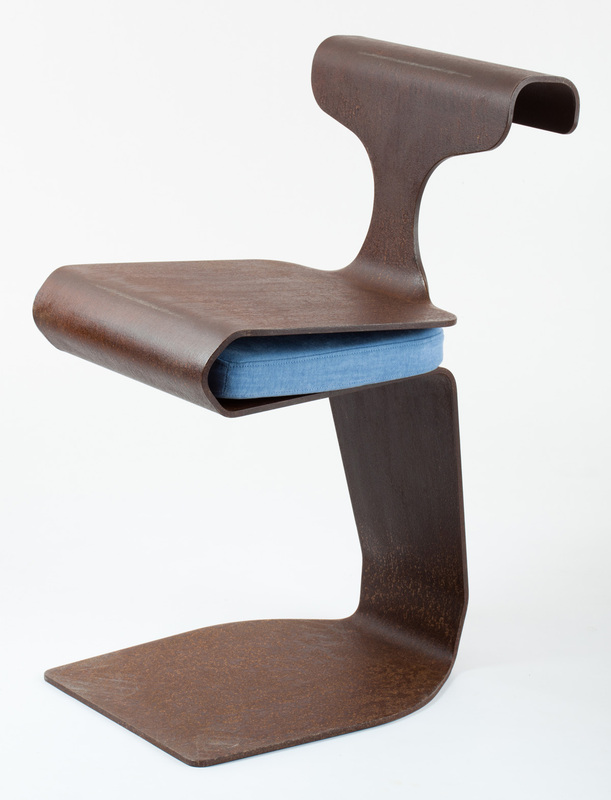 The folds of the seat become useful compartments to support books, newspapers or a notebooks. On the pedestal you can place the backpack or shopping bags and keep everything under control. 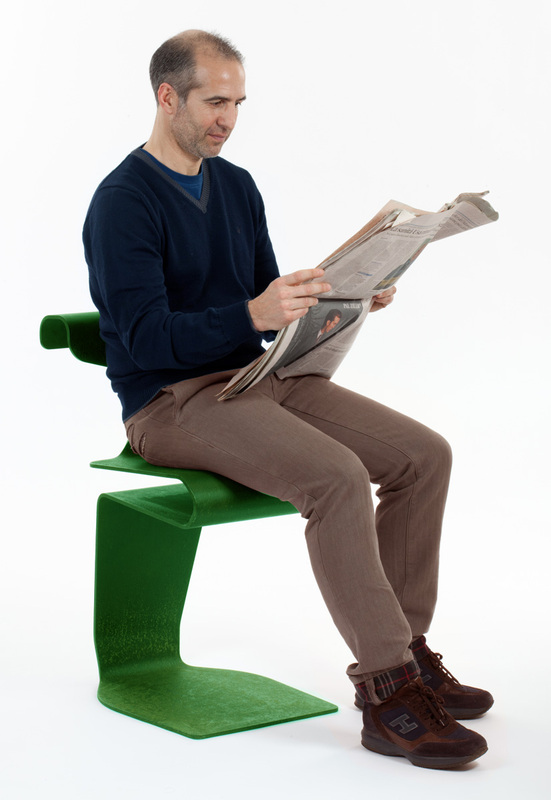 Giano is an outdoor seat that favors socialization thanks to its multi-directional use, indoor is positioned above all in public spaces and in WiFi zones. It is possible to buy it painted or raw if you want to paint it yourself. The colors available are all those from the RAL range. 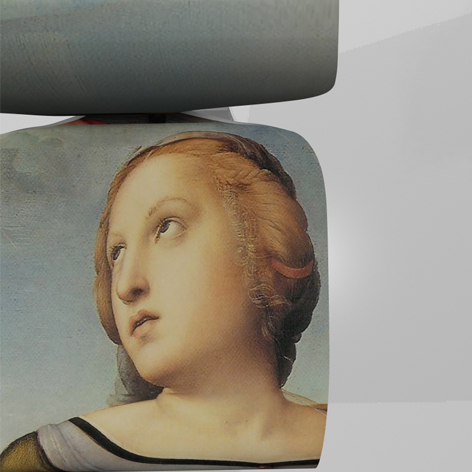 Leura srl also offers very intriguing pictorial personalizations. The particular shape of the backrest provides a support for a laptop, the compartment immediately below the seat can be used to store a briefcase, a folder and books. The space above the pedestal allows you to store and keep a backpack or bag under your control. 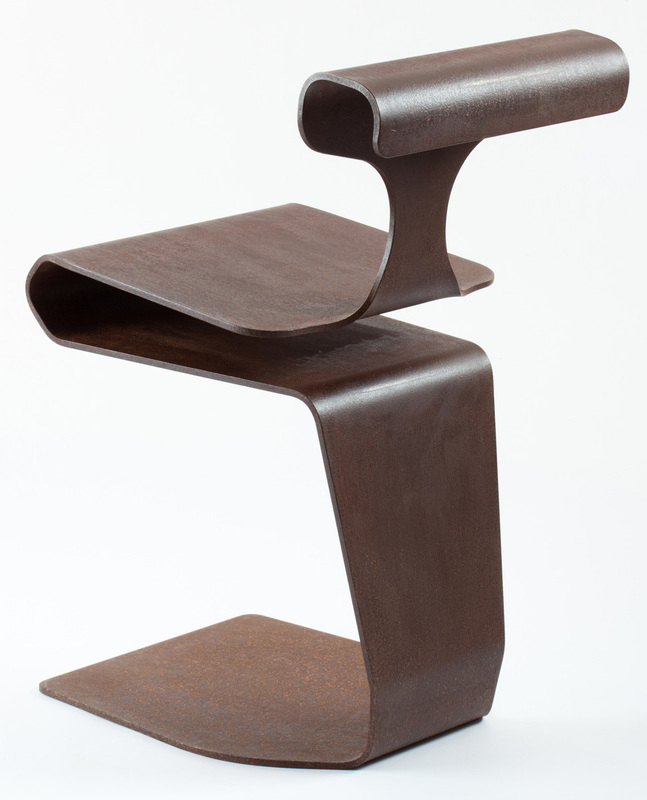 Giano is an extremely practical and comfortable seat even at home. The interior version is equipped with felts under the pedestal, which allow you to drag it effortlessly, and can be completed with a comfortable pillow. 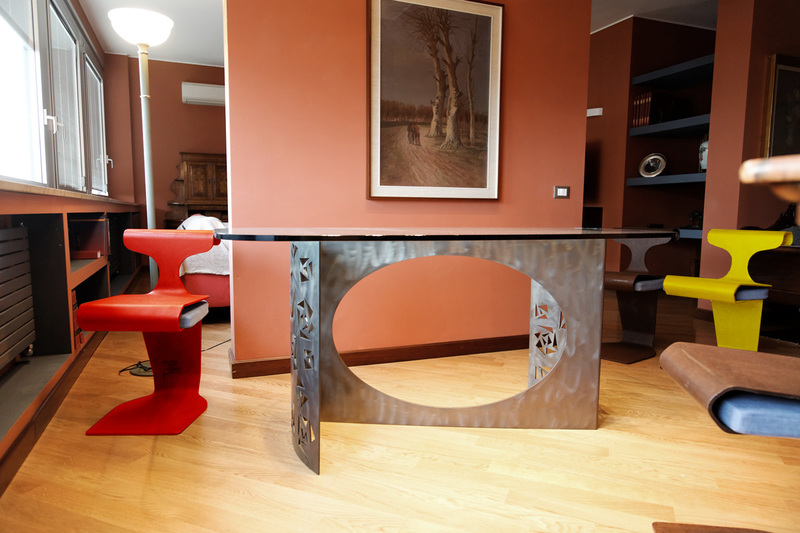 Giano can be bought raw and, like a dull canvas, can be interpreted and invented, depending on the inspiration, the skills and the mood of those who buy it. 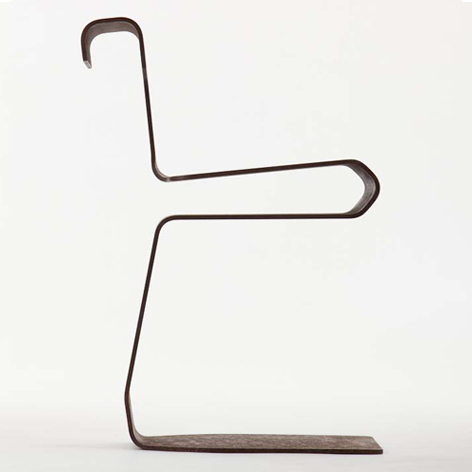 The smooth surface invites you to customize the object, leaving the possibility for everyone to create a unique chair that escapes from the logic of industrial production. Giano for its multi-functionality is a product branded Designed for You&All.